Days of Our Lives spoilers have been revealing some trouble ahead for Salem’s favorite couple Will and Sonny. CDL has been leaking DOOL spoilers and rumors for quite a while teasing that newcomer Paul Norita would cause some turmoil for Sonny and Will, and according to a new Days of Our Lives spoiler video – we were spot on, Paul is gay! 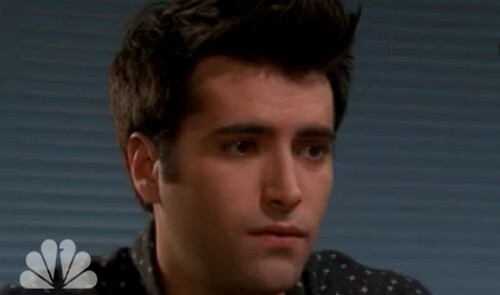 In the DOOL promo for the week of December 1 it is revealed that Paul is actually Sonny’s ex-boyfriend! Paul Norita has been shamelessly flirting with any woman with a pulse in Salem, but it turns out the character isn’t interested in women at all! In the December 1st Days of Our Lives spoiler video, Sonny pays Paul a visit in his hospital room. Sonny shows Paul his wedding ring and informs him that he is, “with the person he is meant to be with for the rest of his life.” Paul replies, “I don’t believe that for a second,” and then jump up and kisses Sonny! So Days fans, what do you think of Paul and Sonny’s secret past? Is Sonny and Will’s marriage is trouble? With Will in California, could Sonny slip up and cheat on him with his ex? How did Melanie get caught up with two hoodlums and a purse full of cash? Let us know what you think in the comments below and don’t forget to check CDL tomorrow for more Days of Our Lives spoilers and news.